Given that it was Ramadan throughout June, I was doing my usual routine - stay up all night on the computer doing some work, until it was time to eat before sunrise. Browsing social media, it was there where news first broke out about Grenfell. Myself - as were everyone else online at the time - were confused, lost, and were desperately refreshing the Timeline looking for answers & updates. Never, in my 22 years of existence, had I witnessed something this tragic in London. My very own, beloved city. That whole night I couldn't even sleep. I was up all night until 6am, stuck looking at my Twitter feed, looking desperately for any news and updates. Eventually I forced myself to get a few hours sleep as I had a driving lesson that following morning. My instructor told me that he had a friend who lived in the building, and how he wasn't answering his calls. I had never seen him look so confused, distraught and angry. When he later confirmed his death, that's when it hit me - there were thousands of people affected by this fire, and I went for a drive with one of them. I'm certain that I speak on behalf of majority of people when I say, when you hear news about a tragedy somewhere in the world where innocent people die, people feel helpless at how they couldn't do anything more to help, other than donate money & send prayers. Today was first time that I could go and physically do something to help those in need, and I wasn't going to waste that opportunity. I bought so much food & water, that the bag cut into my hands as I carried them over. Finally, I got there. After donating everything to the local church, I walked down to the scene and got ready to document how people were adjusting the morning after... and it was the most difficult thing I have ever photographed. I had never been in the environment of a tragedy before, let alone do a photo-documentary of one. How do you stand there and take pictures, whilst people are adjusting to seeing family, friends, neighbours, and familiar faces losing their homes and lives? The atmosphere was so uncomfortably tense, you'd have to be abnormal not to feel the high-running emotions engulfing the surrounding streets. There was no way I could allow myself to be insensitive or invasive, however this was a scene that was necessary to capture. I had to do my level best not to tread on any eggshells whilst documenting this small piece of history, for future generations to see. Grenfell Tower was on fire for almost 60 hours, with fire brigade departments from all over London there to control the fire. Most home-fires are known to burn from the inside-out, and causes minimal damage. However, Grenfell burned from the outside-in. Starting from a faulty fridge-freezer, the fire spread so widely due to highly-flammable cladding, which was used during a refurbishment project completed May 2016. Official reports say the final death toll is 81 people, including 1 stillborn. 70 people were injured, and 223 people escaped. Police say that around 350 people were believed to be in the building at the time. However, I've seen other sources claim that 600 residents were in Grenfell Tower, and there's roughly 300 missing people that are still yet to be accounted for. What exactly IS the truth here? How many people have really died? Are the government & media trying to hide this from us and sweep this entire incident? Nobody knows for certain, but the suspicion is too large for any inquisitive person to ignore - myself being one of them. 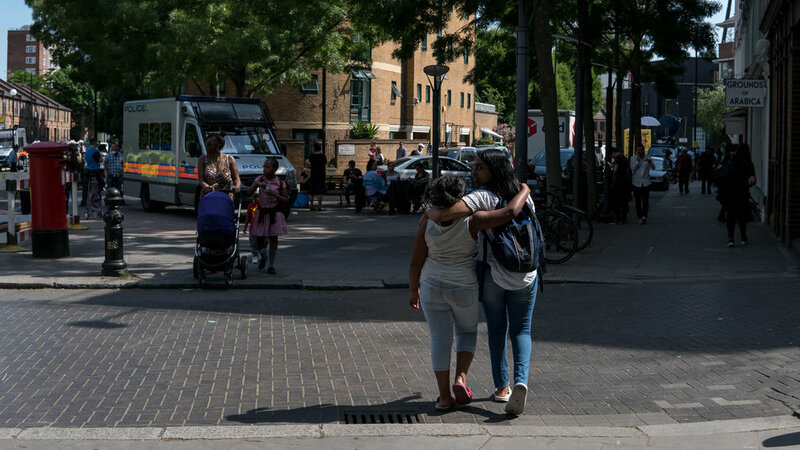 A girl who lived in Grenfell tweeted for help. She was able to get out safely, but unfortunately lost her father. *A social media user shared news of an elderly Muslim couple - who lived at the highest floors of the flat - had called their children & grandchildren to say their goodbyes, and prayed together before they died. *A young man ran into the fire to rescue his mother but he didn't make it out. *One resident who woke others up to escape say they partly-wish they hadn't, as they feel that they would have died more peacefully if the fire consumed them whilst they were sleeping, instead of being awake, trapped and unable to escape. RIP to all of the lives lost in the blaze.